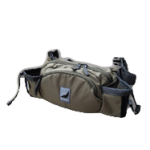 Win a Free NHA Waist Pack! Take our Nature Trivia Quiz, Win a Free Waist Pack! If you’re reading our blog, you’re likely a nature lover and a wildlife watcher… if that’s the case, let’s see how you do on our Nature Trivia Quiz! The first person to submit all 10 correct answers in the “Leave A Reply” field below will receive a free Natural Habitat Adventures waist pack! It’s the perfect size for holding a wallet, keys, water bottle and snacks or a small lunch while you’re hiking, cycling or traveling. Submit your answers in the box at the bottom. I’ll review all submissions and contact you if you are our winner! We’ll post the correct answers on the blog by Friday, assuming we’ve received a correct entry by then. 1. Lemurs are native to only one country on earth. Name it. 2. What food comprises 99 percent of a giant panda’s diet? 3. Australia’s Great Barrier Reef is the world’s longest. The second longest barrier reef lies off the coast of which country? 4. Which insect migrates annually from the northeastern U.S. and southeast Canada to spend the winter in the forested highlands of central Mexico? 5. Brazil is home to the world’s largest wetland, sprawling over some 75,000 square miles. Name it. 6. Name the archipelago Charles Darwin visited in 1835, whose unique species prompted him to formulate his theory of evolution? 7. What continent is home to the largest non-polar ice cap in the world? 9. Name the world’s largest land carnivore, which is actually classified as a marine mammal. 10. Gentoo, Chinstrap and Adelie are all species of which animal? You’re done! Now, submit your answers in the Leave A Reply box below, to win our handy-dandy NHA waist pack! Don’t send me the prize please. I’m leaving this Friday to go to the Galapagos Islands, does anyone know what type of airplanes fly from Quito/Guayaquil to the Galapagos Islands? Are they propeller planes, small jet planes, regular Southwest-sized jet planes or something other than that? If you need more information than that, just say so. Thanks for the help. Well 50% without Google or anything else. I enjoyed the learning!! Well, I guess I didn’t think that one out very well — everyone else’s answers are visible to all new entrants! Looks like Jim Reisert is our winner, first in with all 10 correct answers. The rest of you deserve outstanding honorable mentions! (All a matter of luck with the timing.) I’ll reply to Jim directly, so we can get his NHA waist pack off to him right away. Thanks, everyone, for playing along! 1. Madagscar. 2. Bamboo. 3. Belize. 4. Monarch butterfly. 5. Panatanal. 6. Galapagos islands. 7. North America 8. Whale shark. 9. Polar bear. 10. Penguins. 3. The Belize Barrier Reef is the longest barrier reef in the Western Hemisphere and the second longest in the world. This reef system is part of the Mesoamerican Barrier Reef System. Hi Jim! You are our winner, and quickly, at that! 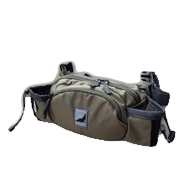 I’ve got an NHA waist pack here to send to you if you will send me your mailing address. You can e-mail me directly at wendyr@nathab.com. Thanks! Just give it to Wendy Komarnitsky – we see here often enough. 3. Not sure about this one. Belize? 6 Not sure about this one either, but I think it’s Galapagos. 7. Continent? North America! Canada/Alaska, right? 8. Whale shark, but this one’s easy for us because we have a megalodon tooth sitting right here! Am I right? Also, please say hi to Ben and Laura for me.